The Ganden Tripa or Gaden Tripa is regarded as the spiritual leader of the Gelug school of Tibetan Buddhism. This news about the Ganden Tripa was posted today by a TK on the dorjeshugden.com forum. I’ve edited this post for length and clarity. “The term of office for the current Ganden Tripa has finished. He has successfully finished his term. He now has the title of His Holiness Ganden Trisur Rinpoche Lungri Namgyal. He primarily resides in France although he has a ladrang in Ganden Shartse, Nepal and Yangthing, Tibet. Ganden Trisur Rinpoche belongs to the Dokhang Khangtsen house of Ganden Shartse Monastery formerly. 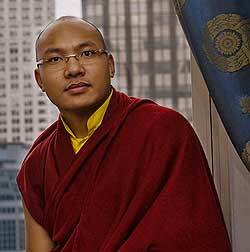 He studied and received his Geshe degree in Ganden Shartse and later he became the Ganden Tripa. Ganden Trisur Rinpoche has never journeyed to Ganden Shartse Monastery to swear in or take the oath to forsake Dorje Shugden. In a stunning turn around, he has officially left Gaden Shartse Monastery and joined Shar Gaden Monastery. Ganden Trisur’s assistant was sent to speak with the current Gaden Shartse Abbot about him leaving Shartse Monastery. Ganden Trisur’s throne in Shartse will remain although he has left the monastery completely. HH Ganden Trisur Rinpoche was a student of Kyabje Trijang Dorje Chang. 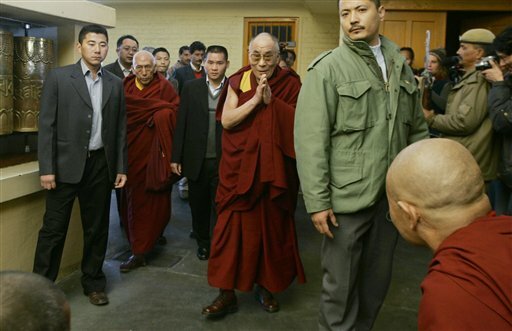 This eventful move will embarrass the Tibetan Government in exile and also teach them a lesson. Not everyone is afraid of them and there are high ranking lamas who will stand up for what they believe in. With time, more and more monks will defect to Shar Gaden Monastery and remain loyal to their lineage, lamas, and practices. 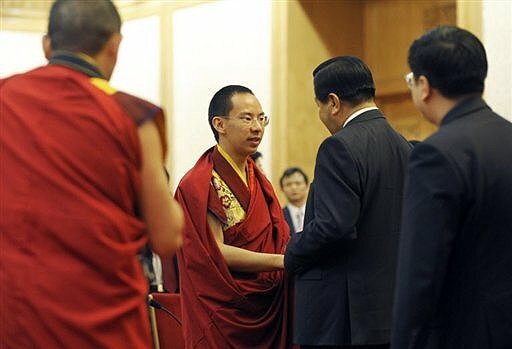 In Sera, Gaden, Drepung, Tashilungpo, Gyuto and Gyurme Monasteries take a “fake oath”, as they put it, to temporarily quiet down the Tibetan Government in Exile and their unjust/undemocratic persecution of Dorje Shugden devotees. As many of you are aware, over 500 monks were forced to leave their beloved home Gaden Shartse Monastery in South India. The Dalai Lama and the Tibetan Government in Exile forced all the monasteries to take an oath to abandon all practices of Dorje Shugden. If they refused, they were forced to leave the monastery for good. So these 500 monks decided to remain true to their spiritual convictions and left Gaden Shartse Monastery in Mundgod, India. Nearby, they re-established Shar Gaden Monastery as a place to have freedom of worship. Help, support, donations and care has been pouring in from all parts of the world. They now have a grand prayer hall, monk quarters, pujas, active Geshe Study program. Many monks from other Monasteries who refuse to abandon Dorje Shugden have also joined Shar Gaden Monastery. Shar Gaden has been working very hard in preparing huge statues for their prayer hall, cleaning, painting, extending buildings, etc. This video gives us an opportunity to rejoice that these Shugden practitioner can now practice their religion freely in their own monastery. Below is another sample from the book A Great Deception – The Ruling Lama’s Policies published by the Western Shugden Society. But the Dalai Lama gives no evidence for saying that Je Phabongkhapa was sectarian later in his life. The following account illustrates the low esteem in which Je Phabongkhapa is held within certain sections of the Gelugpa Tradition as a result of the Dalai Lama’s defamation. In August 2009 there was a Rigchung degree ceremony (for those who have successfully completed their study of the Pefection of Wisdom Sutra) held at Sera-Mey Monastery in South India. During the ceremony for a monk from the Gungru Khamtsem section fo the monastery, the disciplinarian of the monastery Geshe Ngawang Yonten publicly read out the ‘refuge letter’ (in which a patron writes the names of his family and spiritual masters for blessing by the assembled monks). The refuge letter included the names of Kyabje Phabongkha Rinpoche and Drana Rinpoche (another prominent Dorje Shugden practitioner). During the Thirteenth Dalai Lama’s time, Je Phabongkhapa was the most famous and influential Lama who engaged practically in spreading the doctrine of Je Tsongkhapa throughout Tibet. He was greatly influential in reviving the Gelug Tradition at this time, emphasizing the practical application of Buddha’s teachings instead of just scholastic knowledge, and was the lama most involved in promoting the practice of Dorje Shugden. 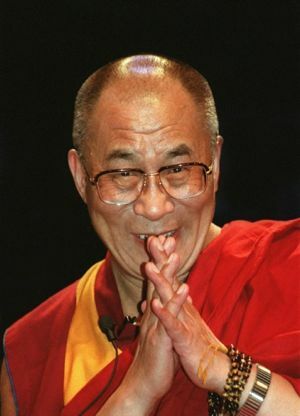 Because of this, detractors of this practice such as the present Dalai Lama have tried either to maintain that Je Phabongkhapa rejected the practice of Dorje Shugden towards the end of his life, or to smear him with the accusation of being sectarian and promoting Dorje Shugden practice as a way of damaging other Buddhist traditions. 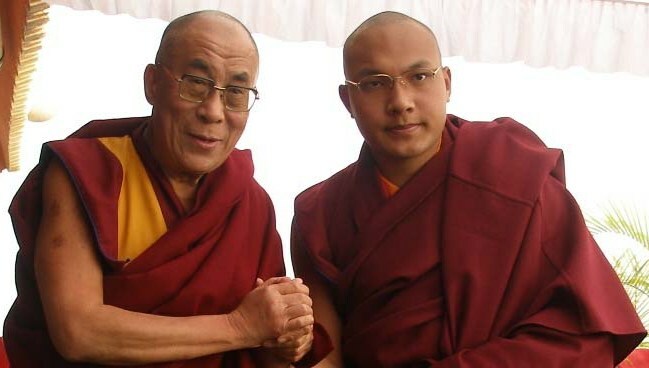 There may be another reason for the present Dalai Lama’s defamation of Je Phabongkhapa. 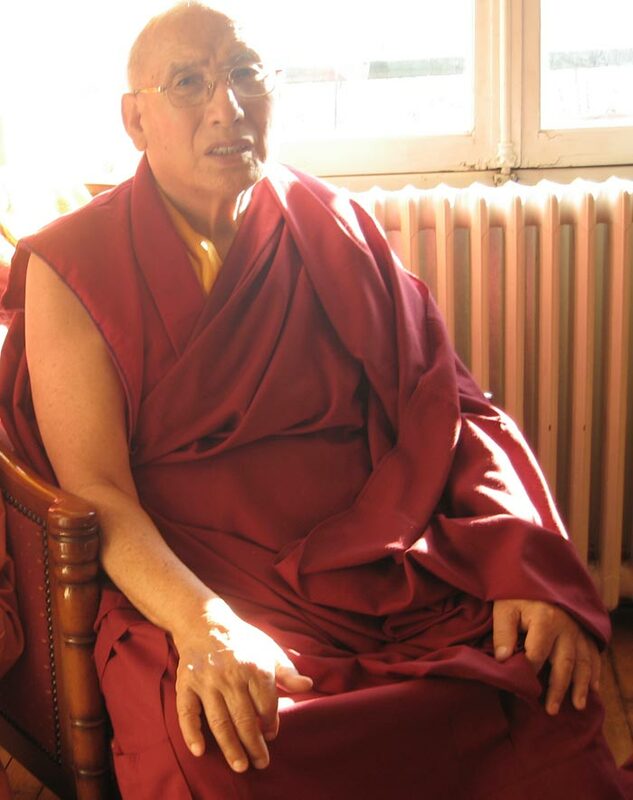 As Goldstein says ‘Phabongka was famous for his view that lamas should not become involved in politics…’ which is not an attitude the Dalai Lama can accept, especially from such an important figure within the Gelug Tradition. ‘Q: Do you know why he chose to change tradition? Je Phabongkha’s spiritual influence – over government ministers and even lamas from other traditions – was undoubtedly a source of jealousy. As a Gelugpa lama he was responsible for promoting the pure teachings of Je Tsongkhapa, but there is no evidence of him action out of sectarianism, or in any way that was damaging to other traditions. 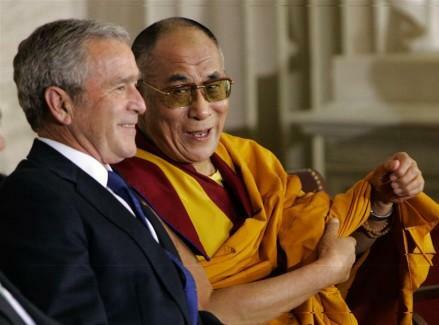 The claims made by the present Dalai Lama are completely false.